One of the best things about working at a food website is being so close to our readers. On Facebook, you guys exclaim “Making this for dinner!” and “Looks so yummy!”—and never hold back from sharing when you think something I’ve made looks absolutely foul. (Thanks for the love, guys!) It’s my job to bring you guys food you’ll flip over, so when you do flip over a particular dish, we notice. 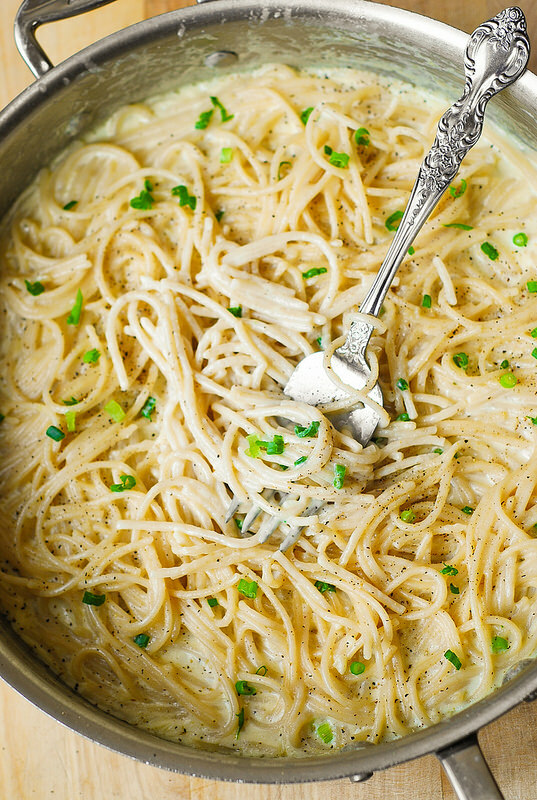 This creamy spaghetti from Julia’s Album is one of those. When we first posted it, Delish Facebook fans lost their sh*t, sharing it more than 70K times, saying that it resembled love, and basically preparing to throw their diets out the window just for one taste. After such a social media explosion, we decided it was time to try the dish for ourselves and see if the recipe lived up to the hype. 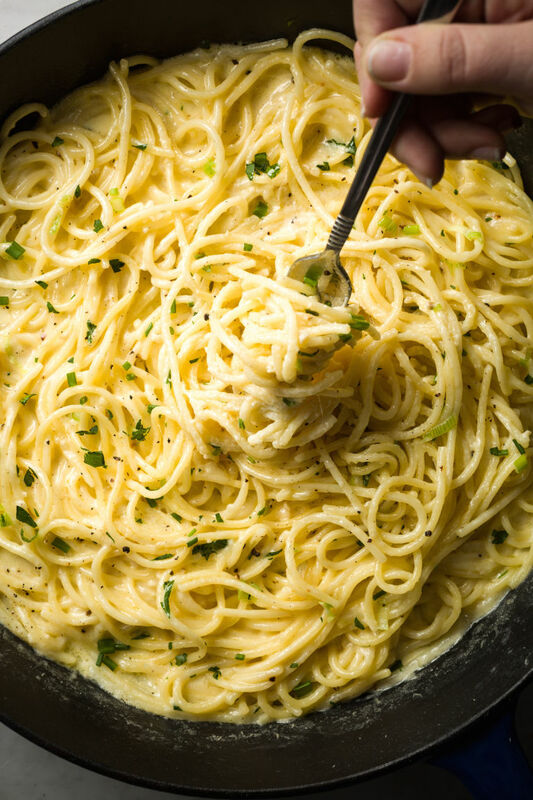 If creamy, cheesy spaghetti is your jam, make this recipe for dinner tonight. I made a few tweaks to simplify the recipe, and, to be honest, I thought the cheesiness was a little over the top (I know, how could that be possible??!! ), so I dialed that back a bit. But all in all, if you’re looking for a classic cheese sauce, this is an undeniably delicious winner.